1.Easily switch from your music to take and end calls. 2.It creates a better sound isolation and minimizes external sound interference. 3.Weat proof, portable and lightweight headset can stay in your ears comfortably. 4.Designed to not only provide high quality sound, but also fits snugly into your ears. with click of button and without taking your phone out. Extends the reach of any 3.5mm headset. 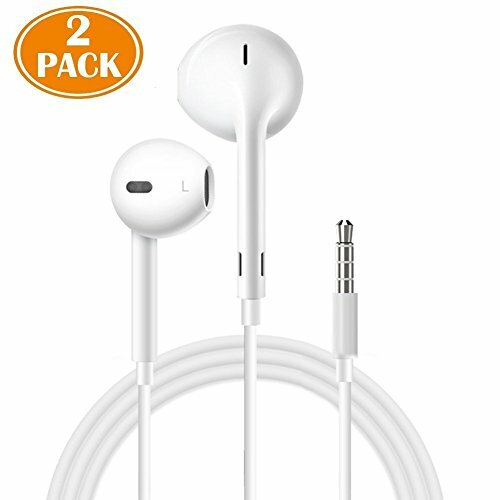 This headphone compatible for iPhone 8 & 7 (Only with Adapter!) SE, 6S, 6S Plus, 6, 6 Plus, 5S, 5C, 5, 4S, 4, iPad 4 with Retina Display, Mini with Retina Display, Mini, 4, 3, 2, 1, iPad Air, iPod Touch, Nano, Shuffle, Mini, All Other iphone Models. If you have any questions about this product by nimachan, contact us by completing and submitting the form below. If you are looking for a specif part number, please include it with your message.